IQS Directory provides a comprehensive list of marine rope companies and suppliers. Use our website to review and source top marine rope suppliers with roll over ads and detailed product descriptions. Find marine rope companies that can design, engineer, and manufacture marine ropes to your companies specifications. 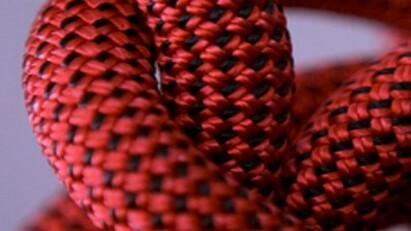 Then contact the marine rope companies through our quick and easy request for quote form. Website links, company profile, locations, phone, product videos and product information is provided for each company. Access customer reviews and keep up to date with product new articles. Whether you are looking for manufacturers of marine cotton rope, marine webbing, marine net twine, or customized marine ropes of every type, this is the resource for you. Since our beginning in 1967, we have had experience designing, manufacturing and distributing the highest quality braided ropes and cords. Braided ropes and cordage are produced in all common fibers. With fibers such as cotton, nylon and polypropylene and hi-tech fibers such as Kevlar&reg;, CSR, a rope manufacturer, is sure to get you the rope you need, in various constructions and finishes. For over three decades, Phoenix Rope has been providing its customers high quality rope and bungee products such as marine rope. Our products are well known and used in many applications including anchor and marine, tarps, hauling, tents and flags and flagpoles. Visit our website to see an extensive list of all of our products that are ready to be ordered. Marine rope is a generalization referring to all cordage, lines and strings used in industrial maritime settings or for nautical purposes. Rope is a cord of strands consisting of spun fiber threads that are twisted or braided together. Marine ropes must be able to resist the near constant wear and weathering inherent in barge transport, boating, sailing and yachting environments. Military, shipping, fishing transport and travel industries all have marine elements. Additionally, domestic boating and sailing require marine ropes in a number of applications. This diversity necessitates a variety of marine rope products of varying strengths and with multiple purposes. Common applications including netting, anchor, bow, stern and spring lines, tow ropes, barge couplers, rope ladders, buoy mooring as well as winch and pulley lines. Several of these products are needed only in specific contexts, commercial fishing for example, but nearly every vessel needs at least one bow, stern and spring line when docked. Synthetic materials such as nylon, polypropylene, polyester, amsteel, dyneema and polysteel as well as natural fibers like manila and sisal are used in the manufacturing of marine ropes. Selection is dependent upon the task at hand and its relation to the specific properties of a given material. Polypropylene rope, for example, is used because it floats in water, and sisal rope is used because it holds knots extremely well. No matter the specifics, the ability to withstand submersion in water and saltwater is essential to the success of any marine rope material. Marine ropes begin fabrication the same as all other ropes. To begin with, either natural fibers are harvested or synthetic fibers are chemically and mechanically produced. These materials are then spun into yarn or thread. Varying quantities of these threads are twisted or braided together to form rope. The number of threads is often directly related to firmness and tensile strength, which should be considered carefully in marine settings. The number of strands, commonly referred to as the ply, is also one manner of determining the grade of a given product. Standard plies range from one to eight. Because marine ropes vary in configuration and composition, many consumers choose to select ropes based on the diameter of the cord rather than the ply. Treatments such as copper napthenate, tar, urethane or tallow may be added to minimize loss of strength due to fungi, mildew and rot in addition to adding protection against chemical corrosion and chaffing in high stress situations. While natural fiber ropes are inherently resistant to water and sunlight, synthetic fibers may require additional waterproofing and UV protection. The available treatments can provide this feature and prolong the working life of the marine rope product. While treatment is important, further considerations include strength lifts, abrasion resistance, flexibility, lay and cord size. Rope suppliers may provide insight into the rope requirements for a specific marine task.